In 1986, ICTA achieved the exemption from reporting for numismatic items on IRS Form 1099b. In 1992, ICTA successfully completed negotiations with the IRS that, for the first time, established reasonable reporting requirements on certain bullion-related products. The original regulation required dealers to report sales of as little as one silver dime. CLICK HERE to order a Broker-Reporting Kit. Since 1991, ICTA has provided information to dealers and their professional tax advisors on compliance with these very important regulations, and on filing IRS/FinCEN form 8300. ICTA identified the best experts to assist dealers in compliance with Section 352 of the USA PATRIOT Act and has sponsored educational seminars for dealers. Many professionals have described ICTA’s Cash Reporting Information Kit as the most comprehensive compliance information available for the rare-coin / precious-metals industry. ICTA’s Cash Reporting Information Kits are available to members for a nominal fee. In addition, ICTA’s expert staff is available to assist members with specific cash-reporting questions and situations. As ICTA members know, failure to comply can result in huge fines and even imprisonment. CLICK HERE to order a Cash-Reporting Kit. At a special conference in 1995, ICTA worked with FTC staff and others to revise this burdensome proposed regulation and to create an acceptable final rule. As originally written, the FTC Telemarketing Sales Rule would have made it impossible for precious-metals and rare-coin dealers to do business over the telephone. ICTA has prepared an information kit to help dealers comply with the rule. CLICK HERE to order a FTC Telemarketing Kit. ICTA members can call to get help on daily transactions as they are happening. Although ICTA staff members are not legal or tax advisors, we usually can help determine whether cash-reporting and/or broker-reporting regulations apply. ICTA has often assisted members’ accountants or attorneys on the specifics of these regulations. In 1981 (before ICTA existed), all precious metals (bullion) and rare coins were arbitrarily removed by congress as qualified investments for IRAs and other individually directed retirement accounts. 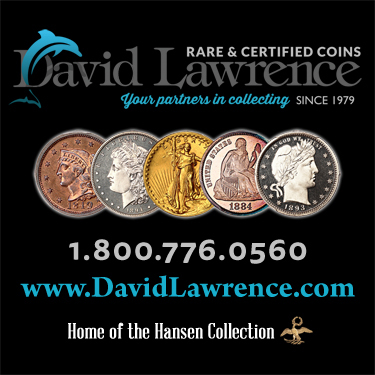 Only U.S. American Eagle coins were deemed acceptable. ICTA worked with CERT on legislation that in 1997 restored precious metals (bullion) as an acceptable investment for individually directed retirement plans. ICTA achieved a 15-day “safe harbor from sales tax” nexus in California for those whose only presence in the state was at conventions and shows. 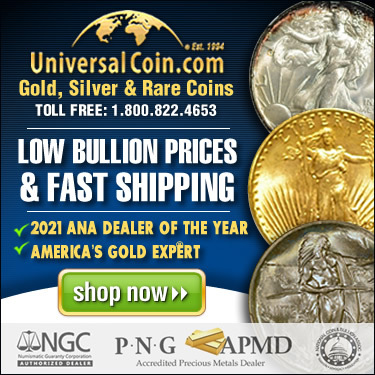 As long as coin dealers do not exceed this 15-day threshold, they are allowed to attend shows such as ANA conventions and the Long Beach Expo without the burden of collecting and remitting sales tax at their home-state location on all sales (mail, phone, Internet) to California residents. This precedent-setting bill has provided a model for other states’ sales-tax nexus definitions. ICTA has helped achieve 31 states’ exemptions from sales taxes on numismatic and precious-metals items. Thirty-six states exempt these products (five states have no sales tax at all). ICTA continues to work with dealers and collectors for more exemptions. ICTA also presented an amicus brief to the U.S. Supreme Court in support of Quill in the Quill v. North Dakota case. The Quill Corp. prevailed. This was an important decision that prevented the states from forcing out-of-state dealers to collect and remit other states’ sales/use taxes. We are monitoring the states’ continuing efforts to force out-of-state dealers to collect sales taxes across state lines, especially on sales conducted via the Internet. ICTA will join coalitions of organizations and businesses opposing any such federal or state legislation.